Lemon water health benefits are known to many of us. If you relish the tangy flavour of lemon in lemon water and other dishes, there are more benefits you may avail of. This inexpensive citrus fruit is a show stealer in the culinary world. 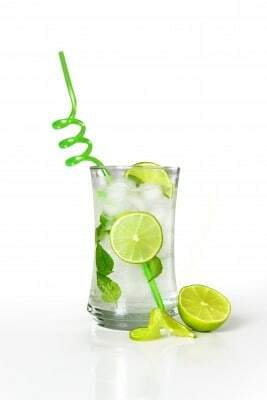 Be it chicken, cakes, tea or other beverages, Lemon has its own signature flavour in such preparation. Lemon water is 5% citric acid and vitamin C. It also contains vitamin B, riboflavin and minerals like calcium, phosphorus, magnesium as well as proteins and carbohydrates. Good for Digestion: Lemon water helps in increasing the production of bile and thus aids in digestion. Lemon water helps in eliminating the symptoms of indigestion like bloating, constipation, heart burn, nausea and even belching. Lemon helps in cleansing and is also thought to be a blood purifier. Lemon water is good to cure regular constipation problems. It stimulates the bowel and helps in eliminating waste. Controls High Blood Pressure- Lemon is basically a potassium fruit. It is low in sodium and can be consumed during episode of dizziness, nausea, stress and depression during high blood pressure. Lemon Water and Dental Care – Lemon Juice can help relieve pain and may be applied around a tooth when it is aching.During episodes of gum bleeds, apply lemon juice on gums to stop bleeding. Lemon water helps in eliminating mouth odor problems as well. Good Diuretic – Lemon is also a diuretic and hence lemon water can help during bloating. It helps to flush out bacteria and toxins from the body. Acts as a blood purifier: Diseases like cholera or malaria can be treated with lemon water as it acts as a blood purifier. If you are overweight – you can take a glass of lemon water to start your day with a kick. You can have a cup/half a glass of lemon water after each meal and at the end of your day. This will keep your BMR levels high and will help in weight loss. It will also help in reducing bloating and keep your system clean by eliminating the waste of fat breakdown. It also helps in maintaining the glow on your face and prevents facial muscle slag during weight loss. If you are healthy and weigh right, taking lemon water can still be beneficial. You can take 1 to 2 glasses of lemon water everyday for its overall benefits on health. Health is not about what you eat or drink on one day. It is more about how you form your habits and tips you adapt on a daily basis. The best approach is to enjoy what you do and the longevity of the healthy habits. So,I also need to shed more than 15kgs……which i gained over the years aftr my second delivery!! I need to know first what all blood test should i do to know if at all i hve any hormonal or other weight related issues!! Kindly,guide me in this as i hve never done all these tests before n am 35 yrs old! Thnks n looking forward to ur reply n thn start n follow some particular regime!! Nice to see you here , and thank you for reading at Dietburrp. well there are some things you need to consider . hormonal imbalances leading to weight gain can be mainly due to 2 reasons , 1 – pcod / pcos – you need to ask yourself if you have irregular discharge , see if your cycles are regular. or if there is something very unusal abt them .. if this is regular and normal… you dont need to test these group of hormones. 2] Hypothyroidism – does your mom / dad have this problem ? any other 1st blood relative ? , have you noticed any unsual weight gain which is sudden, hair and skin changes , irregular bowels, fatigue , irregular cycles .. if yes , you need to check your TSH levels. before deciding to take a a blood test , you need to visit your gyneac for general testing .. she will let you know if the tests are really required and which ones . is it nessary to have lemon water in warm water or it can be taken in cold water also. Its much better when the lemon water is warm, I find that it really helps with making a bowel movement much faster if the water is warm. yes it can be taken with cold water . check your BMR . if you feel its normal to good, then cold water would do . but if your metabolism is slow, warm water will help in increasing you BMR and increase the rate of weight loss. Hii I would like to know how bananas can affect my health and weight. I need to shed some weight I have heard that it affects it. I love bananas so much I can have 1-2 everyday 3 if I fail to control it.how do I stop this habit. Hi Ruth , if you are really fond of bananas, have them as your pre exercise snack . or have a small piece early in the morning . Mam, I want to lose 10 to 12 kg in 3month. I am going for a expedition. N before that I have no choice then to lose weight. Plz suggest me a proper diet n exercise..
hi Payal , i also want to loose weight from last three years but its very tough to loose, i use to do exercise one hour daily, follow proper diet , only sometimes not in rare case, but reason is that i m a thyroid patient from last one year. so please help me what to do . you can add 1/2 or a full lemon in a glass of water depending on your body’s response. if you take a complete lemon, it is best to gargle after finishing your lemon water , for better of your teeth. i have acidity problem so can not take lemon water.but i drink green tea in morning.is it as effective as warm lemon water.please suggest some alternative. if you have acidity problem , the first thing in the morning you should have a fruit and after some time you can have lemon water / green tea . This will help both acidity and weight loss. Hi payal mera weight 69 kg and my night only 154cm mujhe kitna weight loss krna chaiye or kaise pls give me a some tips. I would like to reduce belly fat is it ok that i can follow only lemon water early morning in empty stomach will that be sufficient as im in night shift could you please suggest me effective steps to reduce,. it will help but this alone will not be sufficient in losing belly fat. you will have to introduce some core training , some planks and other ab exercises. how can I reduce fat of hip and around back side? Hi, Is it just plain water with half a lemon OR can I add a pinch of salt to it? plain water will benefit more if your aim is weight loss, or if you have blood pressure or cardiac ailment. other wise you can add a pinch of salt. a good diet should help you . follow any of our 1200 calorie diet plan for weight loss and this will help you lose ood weight even without exercises. hi ….im 15 yrs old …. my height is 5.8 …..and i weigh 85 kg …i need to lose at least 10 kg in 2 months …..are there any exercises i hav do that in order to lose weight ..? or i need a diet plan …. Hi,Payal.I hope that I’ve found a good adviser to guide me to lose weight.I’m 16 years of age.And my weight is 61kg.Also my BMI is high.It,s only now that I’ve realised that I need to take immediate steps to lose weight.I’ve got belly fat too.can you send a planned diet for me,so that I could lose weight in a month’s time.Thanks in advance. I am Hypothyroid patient. I am 5’1 with 132lbs. I want to loose at least 20lbs. Would you guide me what kind of diet plan should I follow? Have one slice of lemon in bottle of water and drink all day would be okay? Want to reduce 18 kg in 7 weeks. Hi, Shruti. I’m 26 years old and my weight is 66kg. I need to take immediate steps to lose weight. I’ve got belly fat n thigh fat too. I works for 9 hours a day in a MNC & spend 4 hours of sitting while travel by locals. I am about to get married by the end of this year. so have a 9 months period in hand to loose weight. Also want to control my weight in future also. kindly help me with a diet plan to loose as well as control weight.